Officials aim to collect 30.3 kg of gold, 4,100 kg of silver and 2,700 kg of bronze by March. ‘Waste not, want not’ is a popular phrase often used to caution people who would otherwise throw away something that can still be used. Well, in this case throwing away something that can still be used is proving beneficial for organisers of the summer Olympics in Japan. Tokyo is all set to host the 2020 Olympic and Paralympic Games, and one of the things that it plans to do is to collect enough electronic waste to make medals. 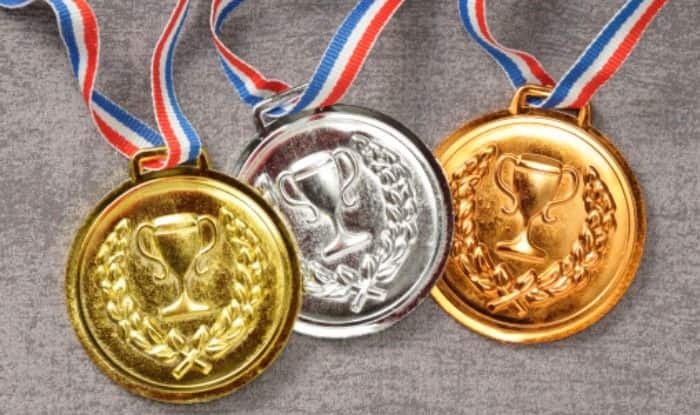 According to Inuth.com, the organisers of the summer Olympics revealed that the project was started in 2017, and they have been collecting electronic waste, like discarded smartphones, digital cameras, handheld gaming devices and laptops, for making the medals for athletes. Officials said they aim to collect 30.3 kg of gold, 4,100 kg of silver and 2,700 kg of bronze by March this year. So far, the target for the bronze has been met and more than 90 per cent of the gold and 85 per cent of the silver has been collected. The committee also said that looking at the amount of electronic waste that has been collected, it won’t be long before they reach their goal. The committee has been getting a lot of support for their endeavour from the public and companies across Japan and also from international athletes, with organisers revealing in a statement that municipal authorities have collected about 47,488 tons of e-waste till November. Most of the recycled metal was collected from the public and businesses. This concept had been implemented in previous Olympics too, with the most recent one being at the 2016 Summer Olympics in Rio where bronze and silver medals were made from recycled material. This time, however, it will be different, as all the medals will be made from recycled electronic waste. And thanks to the drive, the public has donated more than five million old phones to a local network provider, helping the cause of recycling further.